Born on May 4, 1959, Randy Bruce Traywick was the second of six children. His father Harold, raised turkeys, bred horses, and ran a construction business, and his mother Bobbie, worked in a textile plant. Randy's father always wanted him to become a country singer, filling the house with the sounds of Hank Williams and Stonewall Jackson albums. Harold bought his four sons western outfits and guitars, and promoted them locally as the Traywick Brothers. By the time Randy was ten years old, he and his brother, Ricky, had their own duo, playing throughout the South at fiddler's conventions, private parties, VFW halls and anywhere and everywhere they could draw a crowd. Even at his young age Randy's voice startled people with its resonance. He dropped out of school in the ninth grade, and after that-fast cars, drinking and drugs lead to a series of scrapes with the law. At age 16, Randy entered a talent show hosted by Country City USA as a soloist. After winning the competition hands down, he was invited by the club owner, Lib Hatcher, to play regularly at the famed night spot. He then relocated to Charlotte. It was a stint that lasted the better part of five years with Randy first performing on week-ends and eventually full-time. Hatcher took over management of the fledgling singer and in the late 70's Randy recorded two singles for Paula Records, "Dreamin'" and "She's My Woman" with Joe Stampley producing. In 1981 Randy made the move to Nashville, commuting regularly to Charlotte to perform at Country City, USA. He spent most of his time writing songs and getting acquainted with the Nashville scene. Eventually Hatcher began management of another club, The Nashville Palace, where Randy worked cooking catfish and washing dishes, as well as singing on stage. It wasn't long before he had developed a following there as well, changing his stage name to Randy Ray. The exposure lead to appearances on Nashville Now and Nashville After Hours. His Nashville popularity grew by increasing word-of-mouth as people touted him as an outstanding newcomer. In 1983 while performing at the club, Randy recorded his first album independently and called it, "Randy Ray-Live at the Nashville Palace." The album was mostly sold at the club between shows and is now a collector's item and out of circulation. Turned down by nearly every record label in Nashville, often more than once, Randy was finally signed to Warner Brothers Records in 1985. Record company executives changed his name to Travis, and Randy's first recorded effort for his new label was "Prairie Rose," on the soundtrack to the film, "Rustler's Rhapsody." It was followed by the release of the album, "Storms of Life" in 1986, and the rest is country music history. The first single, "On the Other Hand," was a perfect slice of Randy's authentic country talent. "1982" followed, and with that hit, Randy established himself as a singer and performer in the grand tradition of George Jones, Lefty Frizell, Merle Haggard and a handful of others. The success of both singles led to wide-spread demand for live shows, and Randy next set out on an extensive and ongoing tour, taking him across the United States and Canada before record-setting crowds. Soon it seemed every award in the music business had Randy's name on it. A string of country chart-toppers ensued, and by the end of the decade, Randy's record sales topped 13 million copies. During a break from touring in 1991, Randy married his longtime manager and friend, Lib Hatcher in a quiet ceremony on the island of Maui, Hawaii. In September, 1997, after twelve albums with Warner Brothers, Randy was the first artist to sign with the newly formed DreamWorks Records label in Nashville. When "Out of My Bones," the first single from the new label's debut album, "You and You Alone" was released in 1998, he delivered the label its first number one country hit. 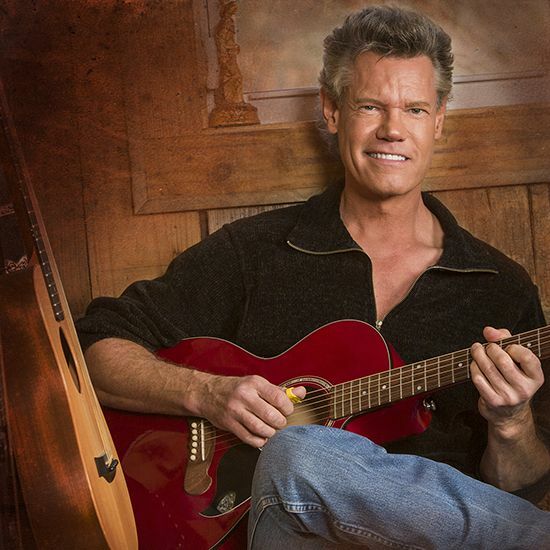 In 2001 Randy independently released a live-concert album, "Randy Travis Live," and a CD single, "America Will Always Stand". Along with his full-time music career Randy has also become an accomplished actor. In addition to guest appearances on TV's Matlock, Touched By An Angel, and Texas, his film credits include The Rainmaker (starring Jon Voight, Matt Damon, and Danny DeVito), Frank and Jessie (Bill Paxton and Rob Lowe), Black Dog (Patrick Swayze), and Fire Down Below (Steven Seagal). He's also featured with Antonio Banderas, Ellen Barkin, Lily Tomlin, and Bob Hoskins in the movie White River Kid. Randy had a starring role in the Miramax/Dimension film Texas Rangers with James Van Der Beek, Dylan McDermott and Usher which was released in 2002. He also worked on Major Reno, a documentary featuring legendary film actor Charlton Heston, and the independent film, John-John In the Sky. While Randy has long been known as an artist whose life-affirming songs celebrate the better angels of human nature, it's in his inspirational releases, that this underlying theme of contentment finally takes center stage. These three inspirational albums have garnered several awards for Randy, and his longtime friend and producer, Kyle Lehning. In 2001 Randy's Atlantic Records/Warner Bros. album, "Inspirational Journey," won a Dove Award for "Bluegrass Album of the Year," and also a Dove Award for "Country Recorded Song of the Year" for the single, "Baptism". Songs from "Inspirational Journey" also inspired the two-part season finale of the CBS TV series, "Touched by an Angel," that also featured Randy playing a significant role as part of an all-star cast. In 2003 Randy was awarded the Christian Country Music Association's "Mainstream Country Artist of the Year". That same year, his Word Records/Curb/Warner Bros. album, "Rise And Shine" was awarded a Dove Award for "Country Album of the Year," and the single, "Three Wooden Crosses," won the Christian Country Music Association's "Song of the Year" award. "Three Wooden Crosses" also won the 2003 CMA Award for "Song of the Year," and had the distinction of being the only song from a Christian label to ever make it to the number one position on the country charts. In 2004 Randy's "Rise And Shine" album was honored again, with a Grammy for "Best Southern, Country, or Bluegrass, Gospel Album". His single, "Three Wooden Crosses" won the ACM's "Song of the Year" award, and a Dove Award, for "Country Recorded Song of the Year". Also in 2004, Randy's traditional hymns album, "Worship & Faith," won a Dove Award for "Country Album of the Year". In 2005 Randy was awarded a Grammy for "Best Southern, Country, or Bluegrass, Gospel Album" for his "Worship & Faith" album. In April 2006 he won a Dove Award for "Country Album of the Year" for his Word Records/Curb/Warner Bros. album of traditional hymns, "Glory Train". 2006 also finds Randy back on the big screen, this time in a thriller, The Visitation, from 20th Century Fox. The film was directed by Robby Henson and is based on the New York Times-bestselling novel by Frank Peretti. In the late 1980's, Randy opened the floodgates for the new traditionalist movement in country music. With 22 number one hits, 6 number one albums, 5 Grammy's, 6 CMA's, 9 ACM's, 10 AMA's, 6 Dove Awards, and a star on the Hollywood Walk of fame, Randy is the rare lucky man who has been able to make all of his dreams come true.